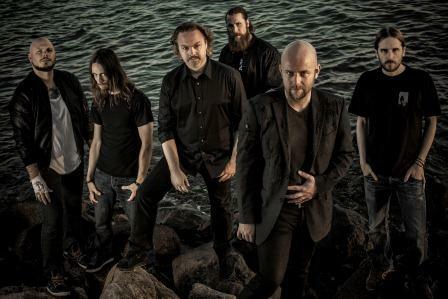 SWEDEN – Swedish melodic death metal act, Soilwork, has released its ninth studio album, a double-CD masterpiece, The Living Infinite, today in North America via Nuclear Blast. 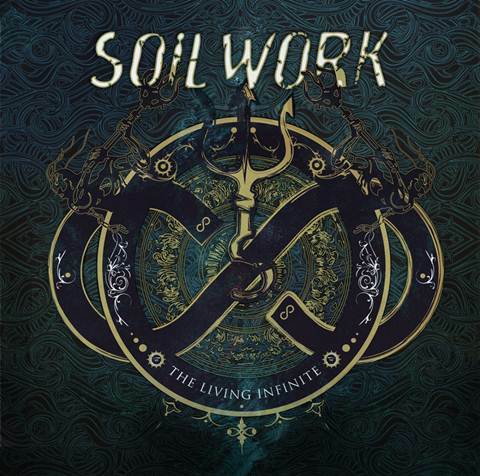 Fans can purchase The Living Infinite on iTunes at: http://bit.ly/soilworktli. The digi-pak and exclusive Living Infinite t-shirt design can still be pre-ordered at: http://smarturl.it/SoilworkCD. On Saturday, February 16, Nuclear Blast hosted an exclusive listening party in Los Angeles to launch The Living Infinite, in which ten lucky Soilwork fans from the L.A. area were selected at random from Facebook to be among the first people in the U.S. to listen to the new double-album. They were also invited to ask the evening’s host, Soilwork drummer Dirk Verbeuren, some questions. Watch the video of the up-and-coming music journalists in action here:http://youtu.be/NBO2nWZ3vgs. Soilwork will welcome The Living Infinite with a 54-show headlining trek through the U.S. and Canada, “North American Infinity Tour 2013,” to start on March 12 in West Springfield, Va. Support will come from Jeff Loomis and Blackguard. General admission tickets for all dates are on sale now. VIP Meet & Greet packages (which include early entry plus a shirt of choice from the band’s merchandise) are available only through Enterthevault.com at: http://www.enterthevault.com/artist.php?id=294. The Living Infinite, the follow-up to Soilwork’s 2010 release, The Panic Broadcast, whichdebuted on U.S. Billboard charts at #88, was produced by Jens Bogren (Opeth, Amon Amarth, Bloodbath) and marks the recording debut of long-time touring guitarist David Andersson (Night Flight Orchestra). The band’s new music video for “Rise Above The Sentiment,” taken from The Living Infinite, can be streamed on YouTube at: http://youtu.be/_LEKU7cBOak. Stay tuned for more information on Soilwork, “North American Infinity Tour 2013” and The Living Infinite. This entry was posted in Bassists, Drummer, Guitarists, Heavy metal, Internet Radio, Metal, Music, Rock, Rock N' Roll, RockStar and tagged Blackguard, Bleach Bang, Bleach Bangs, Bleach Bangs Radio, Hard Rock, Heavy Metal, Jeff Loomis, Metal, Music, NORTH AMERICAN INFINITY TOUR 2013, Randy Norris, Rock, Rock N' Roll, Rock Star, RockStar, Soilwork, the Hellion, the Hellion Rocks, The Living Infinite. Bookmark the permalink.